This week, the President announced that he plans to cut U.S. foreign assistance to El Salvador, Guatemala, and Honduras in an attempt to push these governments to stop migration. However, most of this assistance doesn’t go to governments – it funds the effective programs of development organizations like World Vision who are working in Central America to address the root causes of poverty, violence, and migration. Progress in addressing root causes means that children and families can thrive in their own communities. Ask Congress to protect this funding! U.S. foreign assistance shouldn’t be used as a tool to penalize the home countries of migrants, but should instead focus on sustainable improvements in their lives so they may safely remain at home. All children deserve a life free from fear. To feel cared for and protected in a loving family environment. To have hope for their future. Will you act on behalf of these children today? It only takes a minute to ask Congress to put the needs of vulnerable kids first. We need smart, compassionate, fully funded U.S. foreign assistance programs to end the poverty and violence that are stealing their childhoods. 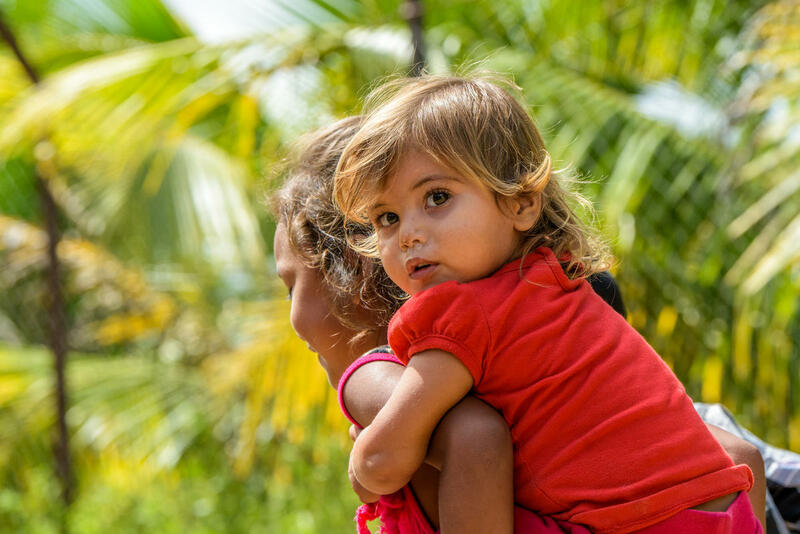 Photo: A girl carries her little sister on her back in Jamastran, Honduras, where World Vision U.S. and U.S. donors funded a major water project built with community participation. ©2017 World Vision, Jon Warren.